My obligatory warning: this post is about the author. When my Rheumatoid Arthritis symptoms changed from Palindromic to “full blown,” I began using Humira injections to fight RA joint damage and disability. After the first few months, the doctor increased the dose to double the typical prescription. So for a couple of years, I used Humira weekly instead of biweekly. However, the RA continued to progress and to bring more disability. Almost six months ago, I switched to Enbrel. When the Enbrel got up to full speed, it brought me to about half mast – still no days without flare for almost four years. 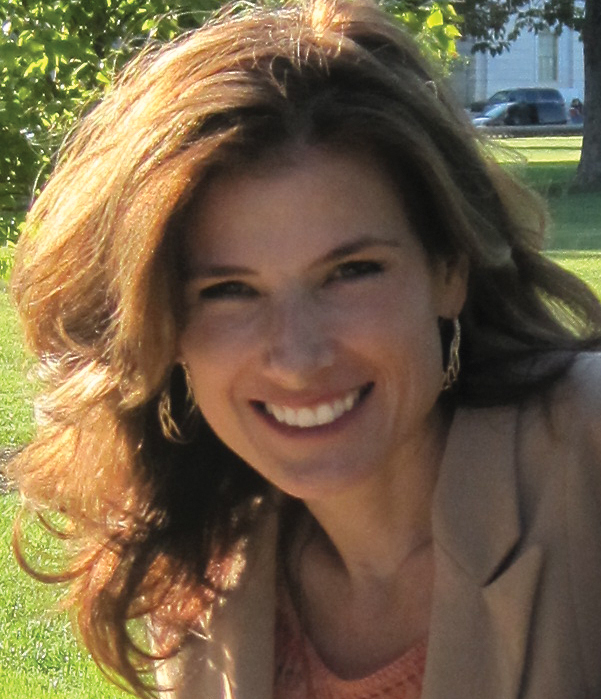 Over the last four months, persistent rashes and hives brought me to a dermatologist. Actually, I have seen three dermatologists. I mentioned each time that I had recently begun Enbrel and asked whether the angry rashes might be related to the drug. The Enbrel question was shrugged off each time, but eventually I was prescribed Elidel. This week, a new rheumatologist suggested a radical change of course: No Enbrel, which the doc blamed for the rashes. Use only methotrexate for six weeks. At that point, the doc will see a new “baseline” for the Rheumatoid Arthritis. Then, we’ll try another Biologic that is not a TNF blocker. Doc said it will be a tough few months, but could definitely be worth it. My Rheumatoid Arthritis has affected every joint. Since my joints have not read any ACR criteria, they did not know which ones should have RA. This doctor did not try to talk me out of certain joints. This rheumatologist was also able to detect subtle swelling or warmth in most of my joints which was invisible to other doctors. As she carefully examined my joints, she acknowledged affects of RA everywhere. It seems she did not believe any of the myths I mentioned here the other day. It has already been 18 days since I have injected Enbrel. I have a fever all the time. The pain has increased, especially in my cervical spine (neck). The joint pains are getting sharper. Every day is a little worse. I am concerned about how bad it will get. Life will not wait for me. What will I miss? Note on drug allergies: Enbrel does not cause rashes in all patients. I have several drug allergies. Please do not assume that Enbrel would not be safe for you. I too am at the stage you were in. Humira does not seem to be working like it had been. What Biologic has your Dr. suggested? Either Orencia or Rituxan is what they do there. I’ll let ya’ll know. BTW, it wasnt that the Humira did not work for me anymore, it always was the same – about half better is the best I have gotten. The effect of biologics tends to wane with time as the body develops antibodies to them. These antibodies in turn attack & destroy the drug resulting in a poor effect. Methotrexate is always continued with any biologic to prevent formation of these antibodies. Mabthera/ Rituxan (Rituximab) has an advantage as 2 doses can give remission lasting for 1- 2 years. And,(believe me) it really does. No other agent has this advantage. However, you have to continue methotrexate. You may consider switching to rituximab in consultation with your Rheumie. You can log onto http://www.arthritissupportboard.com/Rituximab_for_rheumatoid_arthritis.aspx for further info about Rituxan. Yes, I have the Rituxan materials on my desk here to go over as we contact insurance. Unfortunately for me, Doc, the Humira at a double dose brought me about 50% relief about 2-3 days per week. I was grateful for that, but that was the most I got from it. It was good to be able to bathe, dress, & drive, but I did/do so with pain & difficulty. Your news IS good and bad, but the best news sounds like it’s your new doctor! It’s so nice to be validated by someone who is working for you and it sounds like the two of you are on the right track. I will be praying that these next weeks will go by quickly for you and the answers you both are looking for will be apparent and that help is on the way!! Hang in there, my friend. HEY..U WILL MISS NOTHING AT ALL. LIFE WAITS FOR NOBODY. I MYSELF HAVE ANKYLOSING SPONDILITIS WHICH IS A FORM OF RA. IT GETS BAD AFTER EVERY THREE MONTHS. I AM CURRENTLY ON HUMIRA. TAKE CARE. DONT LOOSE HOPE. So sorry to hear of your pain. I hope your new Rheumatogolist can figure out a plan that can work for you. It is reassuring when you find a doctor who truly listens to you!! PS I see my doctor in a couple of weeks. I’m not sure all what I should ask him. Any pointers? So sorry to hear that you’re not doing so well right now. But, it does sound like your new Doc is listening and trying to find something that works for you. Since recently going through the same thing (Enbrel not working and causing a rash), the new biologic Simponi does appear to be working better. Still no remission but the pain is much better. Hope things get better for you soon! I’m so sorry — this sounds really hard. I know you will weather it and your treatment will be more in tune when you are through it, but I also am so sorry you are having to deal with increased pain and uncertainty in the meantime. Oh Kelly, that was hard to read. Mostly since I felt every word of it. Thank you for your honesty. I have a hard time revealing my pain and physical “not-so-abled”ness to my people. So sorry to hear of your plight. I pray that God will give you hope and healing. Enbrel stopped working for me…I think we started it about the same time. Please keep us posted. Please speak to your Rheumatologist about a short course (Tapered & stopped over 4-5 weeks) of low dose steroids (prednisolone 7.5). It is definitely not harmful in the short run. Prednisolone would not only take care of the RA, but also of the associated fever, allergic rash. A non TNF biologic (Mabthera/ Actemra/ Orencia) may be considered down the line. Mabthera is a very effective option; but only after all the allergic manifestations are taken care of. New idea to me, but doc sounded smart, so I will look into this. Hopefully, I won’t be incapacitated meanwhile. I’ve had problems with lots of biologics – at one point the hives and rashes got so bad I couldn’t breathe. When I went through allergy testing with an allergist, he suggested that it was a combination of the biologics and the NSAIDs. He explained it to me that the biologics switched something on in my immune system that caused me to become allergic to the NSAID I was taking. When I switched NSAIDs it cleared up somewhat. Now I only break out in hives during stressful periods and when I’m about ready to go into a full blown sinus infection. Just a suggestion – I hope things work out and you can get back on track! I guess I am just becoming allergic to something in the Enbrel… very interesting theory. Just want to say that I do not feel like I have been “on track” since my 4 yr old was born and all of this 24/7 RA got out of control. I am uncomfortable telling this to ya’ll, but I decided it might help someone else someday. I would like to “get my life back” as they all say, but it has not happened for five minutes. I won’t give up hope though! It is uncomfortable to put yourself out there, but you are right, that is exactly what helps others. Thanks for sharing. You will be in my prayers. I totally understand. It’s only in the last year that I’ve felt like I have periods of having my life back. I’ve only recently gotten the “drednisone” down to a more reasonable amount after being on high doses for many years. Still have my good days and bad days but the good are starting to come more frequently. I know it will be that way for you and it will happen soon! 🙂 Keep hanging in there and thanks for sharing! Prednisosne is always “drednisone” if given in high doses & for a long period in RA. It has no role in the long run in RA. It is always used at onset of therapy as a bridge till methotrexate takes over & later in short course of small dose during a flare. I totally agree with that approach to the pred/dred! However, it is frequently prescribed long term &/or high dose. Why do you think that is? I think it is because the DMARDs are not as good as we need them to be. And docs respond differently to patients who really need relief. One more thing: you mention short term use during flare. 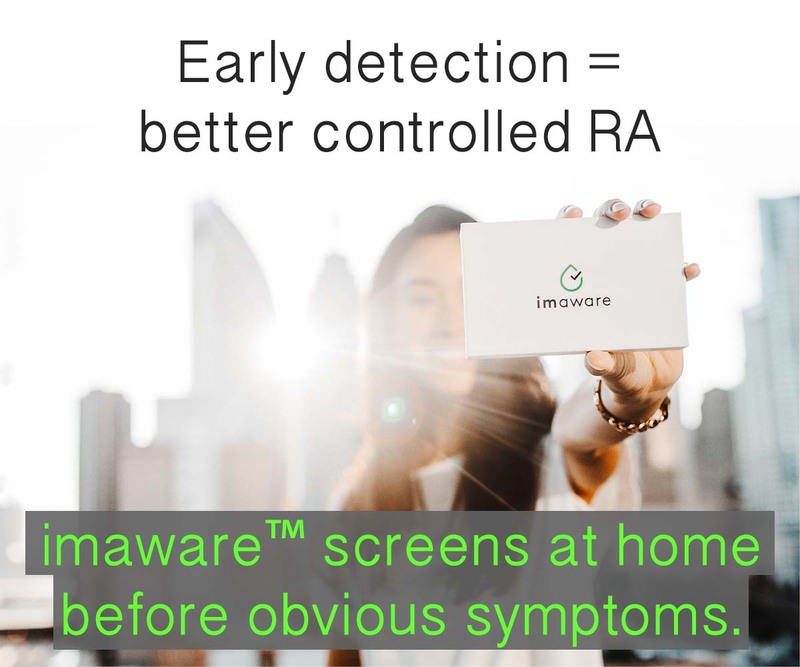 There are about 20% of us RA’ers who are always in flare. Kelly – You can do it! I am lifting you up in prayer! Hm…point taken. The treatment of RA still remains an imperfect science. We definitely need better options. But, at the same time, the destiny of any RA patient is decided in the first few months itself. Whether one gets into remission or remains in a stage of persistent flare is decided right in the first few months. How early RA is diagnosed & how early the DMARDs are put into action is what makes the difference between remission & persistent flare. Just give it a thought… in India, patients dont even afford biologicals. How then, are we managing them?…; definitely not with steroids. A good bold strategy with DMARDs is what helps. At the end of the day, it all boils down to how early was the RA diagnosed & how early was the patient put on DMARDs & how agressive the Rheumie was. And for somebody with persistent RA flare state not responding to DMARDs/ partial response to biologics, small dose of steroids (2.5 mg of predni) can do wonders. Dr, I agree with your approach. I have written that here many times. Have you read these posts? What Makes Diagnosing Rheumatoid Arthritis So Difficult? Anyone interested in the debate on early treatment should click on the tag “diagnosing RA” in the tag dropdown at top of page. Why are patients not able to have early diagnosis / treatment? 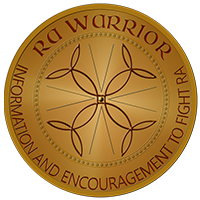 Many reasons have been discussed on RA Warrior, but prominent is this: Too many doctors are ignorant of the realities of Rheumatoid Arthritis, its early (first few years) symptoms, and of the points that you make here. Dr, everyday I speak with people who have had their symptoms ignored and minimized by physicians who looked straight at their RA and do not “see” it until it is much too late. Or docs say that it is too early to treat aggressively. I hope we can both work to promote the truth. It sounds like your new Rheumie is a keeper. She is seeing you with clear vision. My thoughts and prayers are with you. Still on the 20 mg methotrexate, Enbrel and 5 mg prednisone here. Week 5 of the Enbrel added into the mix. The swelling has gone down. Probably about 30% reduction in symptoms. We’re giving the Enbrel at least 8 more weeks to see what it can do. Take care. I think you are on the right path. Kelly, I know it is scary to put yourself out there and right a blog so personal to you but I am so many others appreciate it. For me it was a way to see that I am not alone and secondly, others experiences at a personal level. People don’t often talk about their personal struggles with RA or AS or Lupus but I thank you so much for being so brave and giving us a peek into your own life. I wish you the best of luck. I am not on Embrel or any of those because you cannot take them within six months of pregnancy and well Ive been ttc for 25 months now. I take an Epsom salt bath EVERY SINGLE NIGHT, I take muscle relaxants in the evening with Ryzolt which is a 12 hr extended release Ultram. I also sleep with a mattress pad that is heated and heating pads on joints that are particularly painful. I got one of those orthopedic pillows, see a chiropractor and physical therapist also of course my rheumy. and always remember you are NOT alone. This what you are experiencing right now will give you so much appreciation for the medications that you begin to take. If the pain gets too bad contact your dr again re: steroid pack, they are amazing. Wishing you all the best. Hang in there!! Wow! Fantastic website! I just discovered you, or you discovered me, on Twitter tonight. 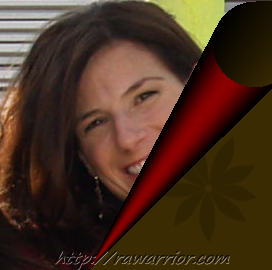 I’ve had RA since 1997 & have had wonderful ups and horrible downs. I’ve tried meds, homeopathics, nutritionists, etc., but Enbrel is what seems to work for me. In fact, I took it when it first came out in 2000, but stopped for a few years and resumed it in 2008. I refuse to take Methotrexate because of its side effects, so I pray Enbrel works for a long time. I will be praying you find a treatment that brings some real relief. I have 3 kids, and I know how difficult and disheartening it is when your body won’t let you be the mommy they need you to be. Kelly, I turned 40 in December 2006. I had already been having some symptoms but, my primary dr. didn’t seem too concerned and since the sed rate wasn’t too bad when they tested, I think I was considered a nut case. After researching for myself and going back requesting that he specifically do an anti-ccp test, he finally referred me to a rheumy. I sat in the rheumy’s office, bawling and depressed, in June of last year and he assured me I would be able to feel “normal” again. Thus far, that has NOT happened. Like you, my RA affects pretty much every joint in my body. I started on MTX, increasing to 20mg/week, which I still take. Then, we tried Celebrex-like water. Then, Enbrel self injections-minimal effect. Then, Remicade (infusions by nurse). I’ve been having the infusions every 5 weeks @ 500mg (or mililiters, or whatever) for 6 months now, and he added Celebrex back into the mix a few months back also, so I take 200mg of that every day too, in addition to folic acid, and of course Cymbalta since I’ve about lost my mind over the last few years. I have to admit I feel much better than I did a year ago, but I am nowhere near normal, and I feel like such a whiner when I go back in there and see my rheumy, and he’s got this look on his face like he’s really expecting me to say I feel great because so many other people do when they take that stuff! I go back to seem him again on November 12th, and I’m dreading my appointment. I just want you to know how thankful I am to have stumbled onto your site a few weeks ago on a Facebook search. You cannot imagine what an inspiration you are to me, and I know to others as well! God bless you! You’re in my prayers, and I so hope you’re able to get just the right combination of meds VERY SOON! I have questions too. I didn’t even know MTX came in injectible form. Mine are pills. How long have you been doing that? How long have you had RA exactly? How many kids do you have? I know how you feel. Yes, every joint – even the sternum so it hurts to breathe some days. And about having docs say you are mentally ill since your ESR/sed rate is normal. I know about all of this. And about not really “getting your life back” even though you are diligent & cooperative with strong meds. And about the doctor acting as if you should feel fine now… So, I am right there with you, too. Mtx: I’ve been using that form almost 2 years. The mtx can be injected if gastro-intestinal side effects require it – OR – if there’s a need to get a higher dose than you have. 25 mg is about the highest RA dose (unless body mass were very high) and it must be injected. That’s my dose. Also, injecting provides a stronger effect since none is lost by digestion. Have you read the Mtx pages here on the blog? Maybe there’s something new there for you. I also know about dreading the appointment. Wish we could go in together. Wouldn’t that be a good networking for RA idea?! Anyway, get as much info as you can before you go in, so you know what you want to ask & show/tell. Kelly you and your family are in my prayers. I am also waiting to get my life back!!! I am on MTX, Pred., and Enbrel and still have flaring. Take care my friend and Warrior. I have had the same skin situation with Revellex – chronic itching, severe psoriasis, sore neck/shoulder. Elidel did nothing to alleviate problem. New RA sites – little finger, feet, ankles etc. I was there just a few months ago so I totally understand the fear. We’re still trying to find the right meds to stop the disease progression. It’s so important for people (non-patients) to know how difficult it can be to find the right meds and all the side effects that come along with them. That it’s not just the RA that we’re dealing with, as if that isn’t even. And how we often have no choice as we watch life fly by us while we’re sick. Thanks for sharing this. I’m praying for you.